Do you ever wonder how you can really teach your children to pray effectively? 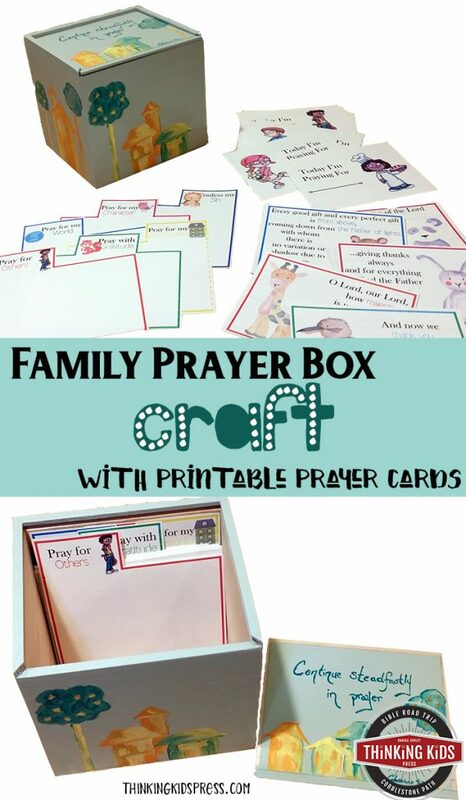 The Family Prayer Box Craft with Printable Prayer Cards will help you teach your kids to pray! Rather than teaching my kids to pray rote prayers or to use a specific formula, I want to teach them to pray for others, to pray with gratitude, to pray for the community and world around them, to pray earnestly for their own character, and to confess their sins. To help your kids develop a healthy prayer life that covers these areas, I’m going to share with you how to make your own Family Prayer Box. I also have six printable dividers for your prayer box, and six printable card sets for each category so you can complete your box. They’re all available in one easy-to-download prayer box craft ebook–my gift to you. Check out this fun video about your prayer box craft and the printable prayer cards that come with it! You can get started making your Family Prayer Box and printing the dividers and available prayer card sets today. You can subscribe below to receive the Family Prayer Box Project eBook–including all seven printable sets! You may also want to add the 64 Card Prayer Memory Verse Set! Right now you can download the entire Family Prayer Box Project eBook, including detailed instructions and all seven printable sets by subscribing to Thinking Kids. I’ll send you a few more great printables, too, after you opt in! You’re going to need a few things to make your family prayer box. You may already have a few of these. If so, that’s awesome. I’ll tell you what I used below so you can make sure you’re all set up before you get started. Because we’re moving, a few of the supplies I used are not what I would normally use. I’ll tell you what I usually prefer. I have a bit of a wood furniture painting obsession, so I do this a lot. 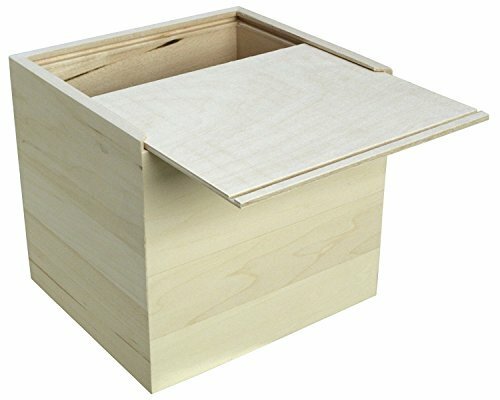 This wooden box fits the dividers and prayer cards, with room to add extra sets as you decide to pray over more issues. You’ll need a nice set of craft acrylics. You don’t need to use professional (artist) grade acrylics, but you definitely don’t want to use poster paints. 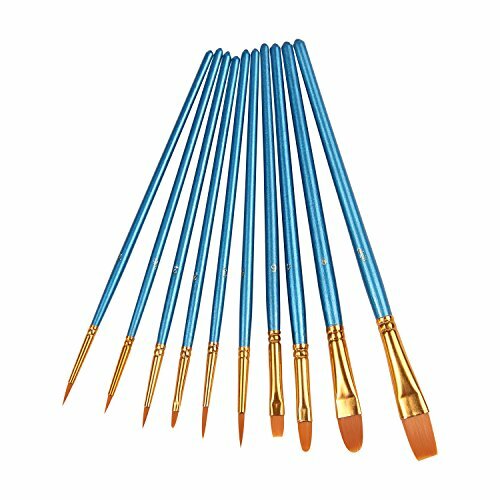 Pick up a set of paint brushes. One of the sets for $10 or less will do. 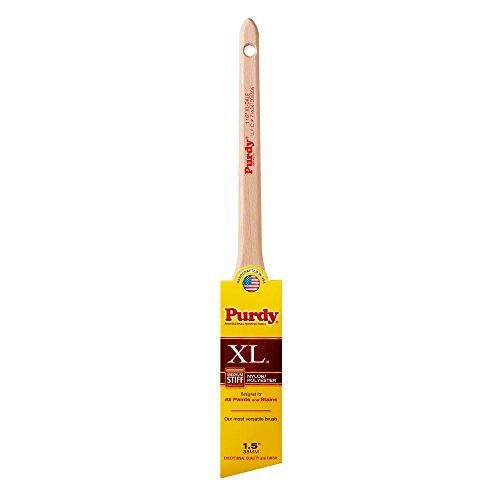 A Purdy 1.5″ paint brush for painting the body of the box with acrylics and polyurethane. You can use a disposable chip brush, but the bristles tend to come off in your paint, so I recommend getting a Purdy brush and washing it well, then storing it in the packaging to keep the bristles straight. You may want a sharp pencil and some masking tape for the lid. You’ll use water-based polyurethane to coat the box after you’re done decorating it. 800 grit sandpaper will help you gently sand the polyurethane between coats. 1) Trace lightly around the lid perimeter. The lid slides tightly into the box and if you paint it, you won’t be able to close the box. Take a sharp pencil or mechanical pencil and lightly trace the perimeter. 2) Use masking tape on your perimeter line. 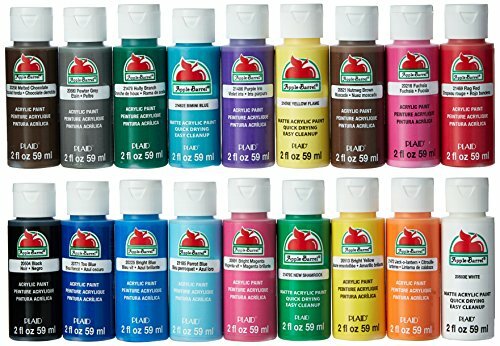 While you can carefully paint up to your pencil line on the lid, it’s a better idea to just use masking tape to seal off the edges of your box top. You don’t want to have a problem sliding the lid closed. When you paint the lid, leave the underside unpainted. 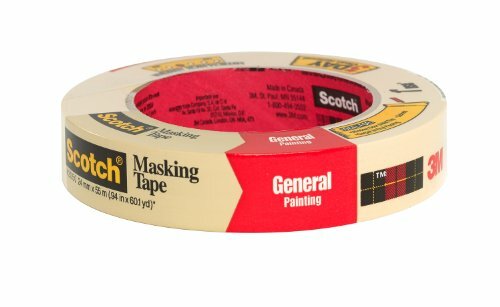 Be sure to carefully peel off the masking tape while the paint is still wet. If you wait until the paint is dry, you may rip off the paint. 3) Paint the outside of the box and the top of the lid. Use your 1.5″ brush to paint the outside of the box and the top of the lid. Use a good amount of paint (but not enough to drip) with even brush strokes in one direction all the way across. You can paint the rim of the top of the box, but be careful not to paint the track. You still want the lid to slide in. 4) Remove the masking tape and apply a second coat later if necessary. Once you’ve painted the top, carefully peel off your masking tape while the lid is still wet. You may want to apply a second coat of paint once the body of the paint has dried. You’ll need to reapply the masking tape first. I had a quart of the interior paint I want to use in our new home when we get there, so I used that and only needed one coat. 5) Lightly pencil your design on the box. If you’re having trouble coming up with some fun ways to decorate your box I recommend looking around on Pinterest for painted boxes. You can get your kids involved too if you like! 6) Use acrylics to decorate the outside of your box. Have fun. You can make your decorations as complex or as simple as you’d like. A lot of the furniture I’ve painted has been incredibly complex, taking weeks to complete. For this project, I just went with a simple neighborhood theme in four colors. It was fun and quick to do. 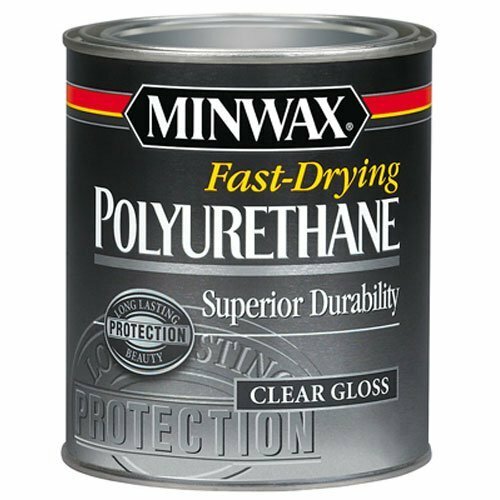 7) Use your polyurethane to clear coat your finished design. Once you’re done decorating your Family Prayer Box, you’ll want to get ready to clear coat it. The polyurethane will make it bright and shiny, easy to dust, and it will help protect the finish. I love polyurethane. When my boys finish a project on canvas, I coat that with polyurethane too. Here I’m using a different clear coat product from Miller Paints. Most of my supplies are packed for our move, so I borrowed this from my husband. You’ll want to stir the polyurethane (don’t shake or you’ll have bubbles). Dip your brush and wipe off one side, then apply a single, even coat from one side to the other across your whole box. Avoid the perimeter and back of the lid, and the track for the lid. Before you leave the box to dry, be sure to check for drips. This is a watery product, so it runs easily if you get too much on the surface or apply it unevenly. 8) Gently sand the dried polyurethane finish. Once your clear coat has dried for a couple hours, gently sand the clear coat evenly with your 800 sandpaper. If you sand too aggressively, you’ll affect the finished decorative paint. The goal is only to disrupt the clear coat a bit to allow proper adhesion for the next coat. After you’ve sanded the clear coat, apply another coat of polyurethane. Be sure to check for drips. Let this dry for several hours or overnight before using your box. 9) Print your Family Prayer Box dividers and prayer card sets. Print your dividers and all the available prayer card sets and cut them out. Assemble these inside your Family Prayer Box. Put your Family Prayer Box somewhere you’ll be reminded to use it during your family devotions like on your dining room table or in your living room–wherever you pray! I tried to get to the download of the Pray for Others card set but it keeps sending me to the Prayer Cards for Kids page…Am I doing something wrong? I look forward to this program. Hi, Carol. I’m sorry! I named the Prayer Cards for Kids post before I had fully worked out this project. Those are the cards you want to download for the Pray for Other tab. Thanks for the homeschool encouragement.